Let’s have waffles instead of bread. Let’s make sandwiches on pancakes. Let’s confuse our lunch with breakfast. Let’s live life like one big brunch. Let’s gaze at bubbliness. Let’s think some more about how yeast is magical. Let’s high-five the new waffle-maker. I’m Monte Cristo crazy. I’ve recently ordered Monte Cristo French Toast. I’ve eaten Monte Cristo Crepes. I made mini Monte Cristo sandwiches for new year’s eve. So just know that you’re the Monte to my Cristo. Thanks! Divide cheese between two waffles and place on a baking sheet in a 250°F oven, cheese side up. Allow cheese to melt while assembling the sandwich (about 5 minutes). 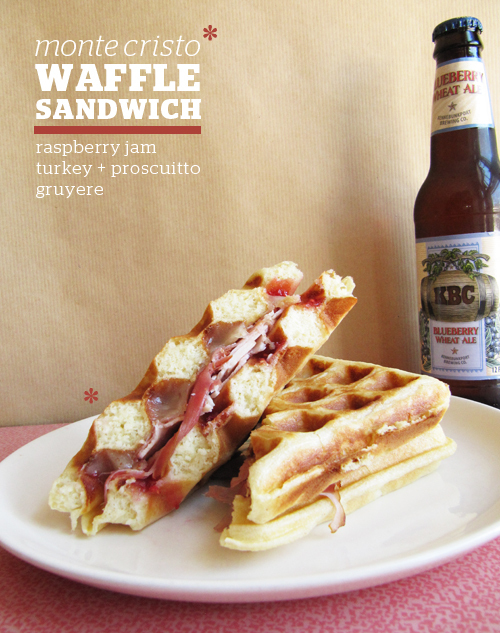 Meanwhile top the other two waffles with raspberry jam, turkey, and proscuitto. Top with cheesy oven waffles. Slice and serve! Whisk together all of the ingredients in a large bowl, leaving room for expansion. The mixture will bubble and grow (like the second photo above). It’s ok if its not completely smooth. Cover with plastic wrap and set aside at room temperature for 1 hour. You can cook the waffles now or refrigerate the batter over night. Cook in your belgian waffle iron according to the manufacturer’s directions. Serve sandwich-style. Not all of the waffles turned out perfectly square, but I don’t discriminate. 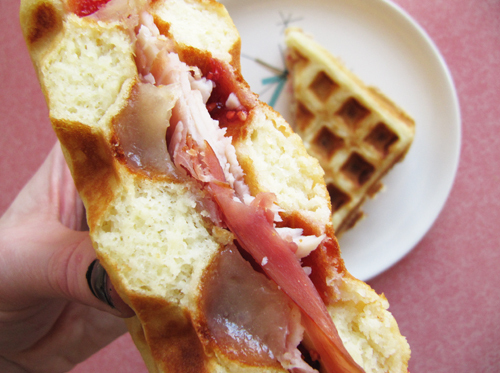 I was totally thinking about Monte Cristo’s all weekend…and I made waffles, I was so close! 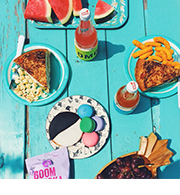 I’m so down for living life like one big brunch…mimosas and naps all day! awesome idea! i’m totally with you — yeast is real-life magical! Such a good idea!! Why are they called Monte Cristos? 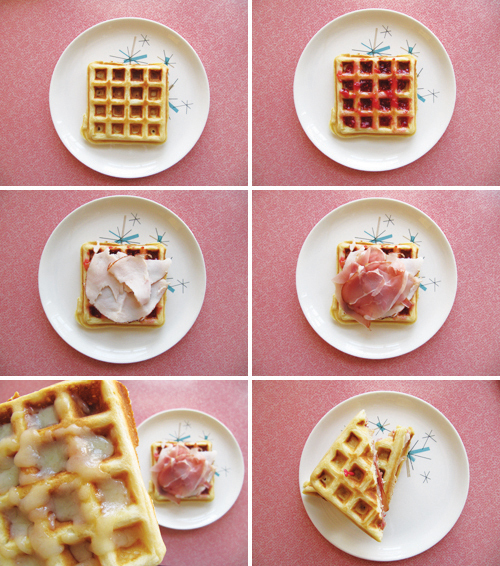 Waffles instead of bread is an inspired idea! So awesome! O.M.G!!! 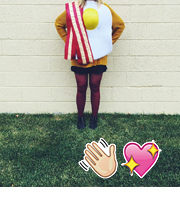 my favorite sandwich combined with a breakfast (my fav meal) item…sounds like heaven! Jon would LOVE these. I guess I need to get a waffle maker. I had my first Monte Cristo about 30yrs ago at Bennigan’s. It became my favorite sandwich to order out. I think a waffled Monte Cristo sounds amazingly tasty! 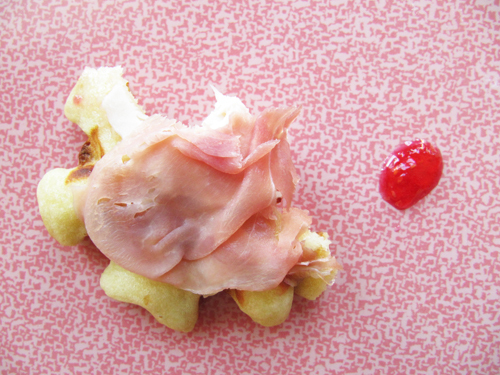 The perfect use for the heart-shaped waffle maker cooling its heels in my pantry.